Not many people can say they’ve changed the face of their city. In London, home to nearly 9 million people, big business and politicians tend to call the shots. Ordinary people rarely get a say, least of all the young ones. the thousands of young riders who frequent the mass ride-out Bikestormz have made a lasting impression on the capital – and helped save lives along the way. 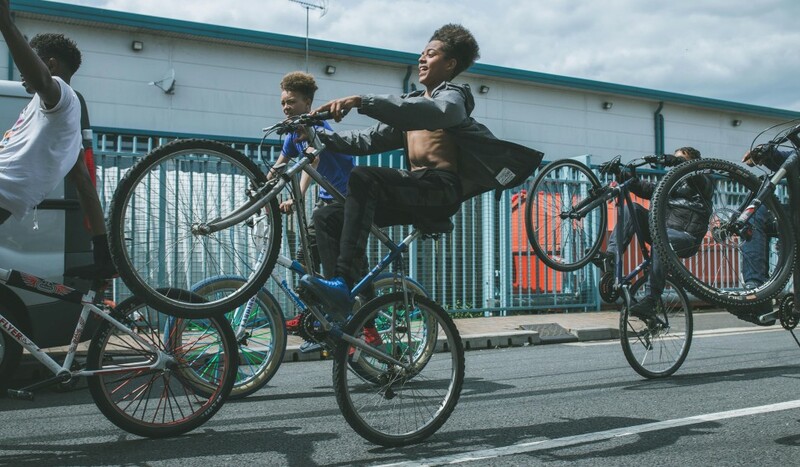 Founded in 2014 by Mac Ferrari and Jake O’Neill (better known as @jake100_ to his 60k+ followers on Instagram, who also featured on Huck's Nike partnership), the movement has brought kids from all backgrounds to ride as one, under the banner: ‘Guns Down, Knives Down, Bikes Up’. Huck has been following key figures in the London scene since early 2017. We’ve ridden alongside them as they’ve overcome hostility from the authorities and helped make Bikestormz a rolling community known all over the world. Together, they’ve helped fuel the explosion of the Bikelife movement across the UK, transforming it from a little-known subculture into something far, far greater. In Before The Storm – an original Huck Film directed by Jake Churchill and Prokopi Constantinou of itdrewitself – we join London’s top riders on the streets in the build-up to Bikestormz 5, one of their largest mass ride-outs to date. As 3,000 riders prepare to shut down traffic in the capital to make a unified stand against violence, it’s clear that the voices of young people can no longer be ignored. This is what London looks like with one wheel raised to the sky.